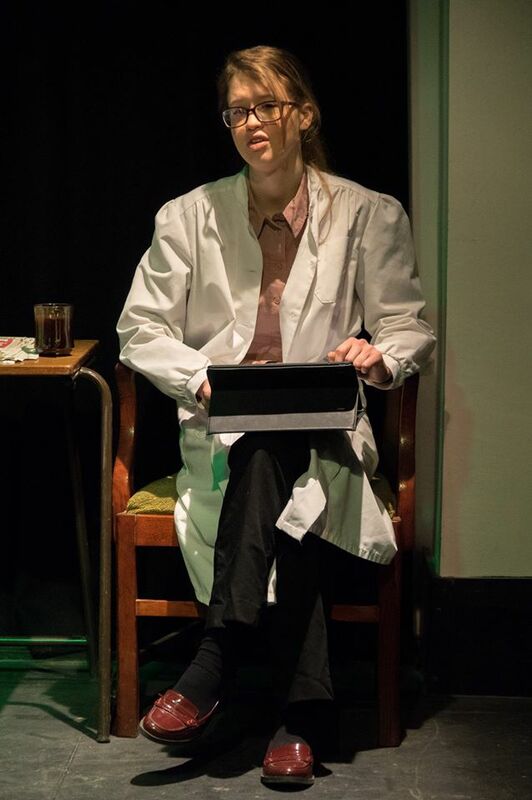 Director Leni Robson subverted gender roles to darkly comic and disturbing effect in her debut production for us, 'Birthday' by Joe Penhall. 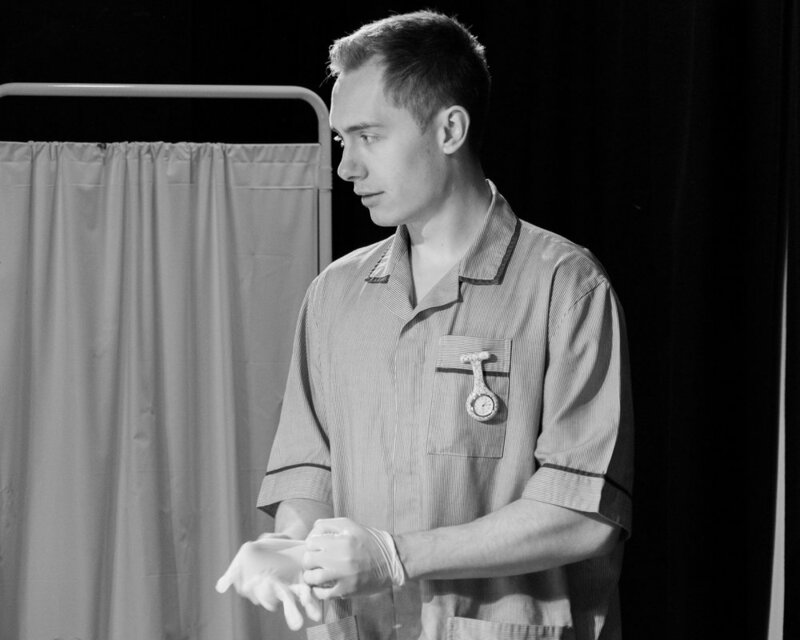 Charting Ed and Lisa's personally fraught experience in an NHS labour ward the play presented the idea of male pregnancy and its effect on the central relationship as Ed goes through labour. 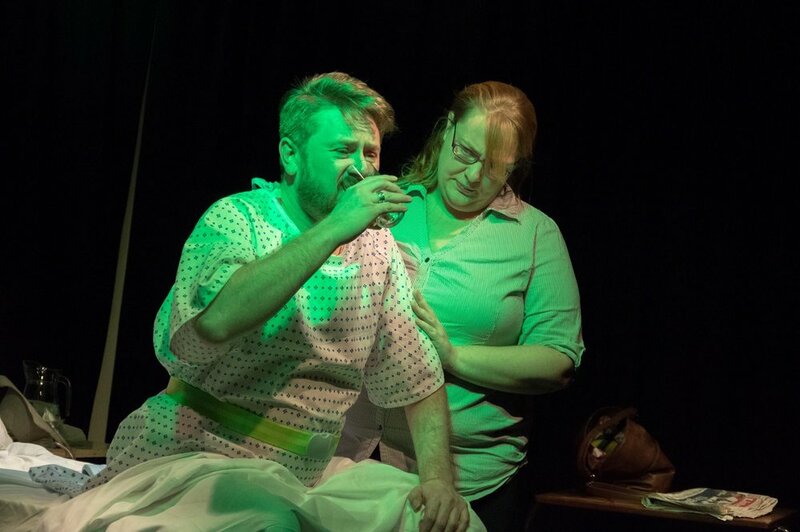 These emotionally and physically demanding roles were brought magnificently to life by a small but extremely talented cast working in a set that was skillfully designed to heighten the tension and apprehension felt by the characters. 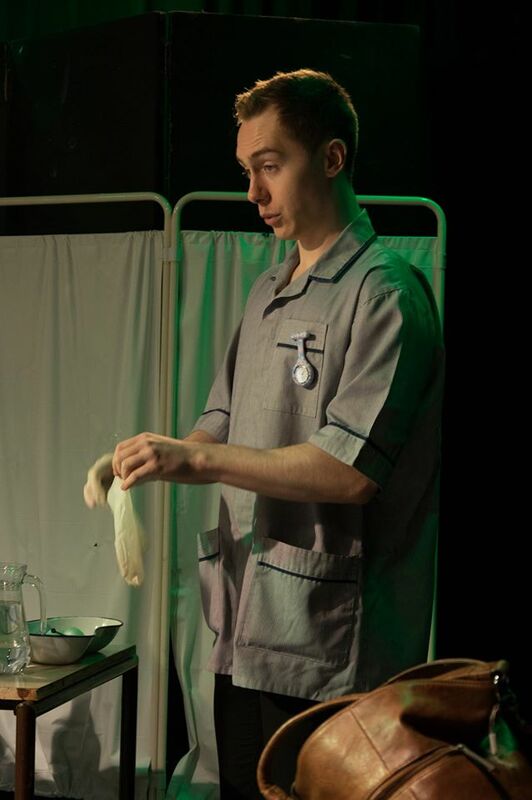 'Birthday' was another fantastic in-house production for DSTC! All photographs taken by Daniel Cogswell.